Aquamarine is a semiprecious stone. 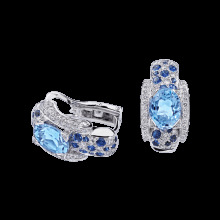 It is a variety of beryl that is transparent, with a vitreous lustre. 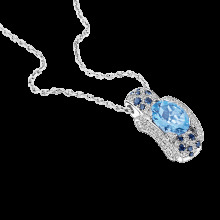 It ranges from colourless to a light blue-green reminiscent of sea water and is similar in appearance to topaz. 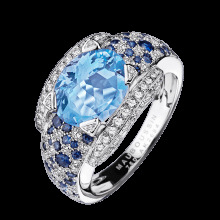 The word ‘aquamarine’ means ‘sea water’. 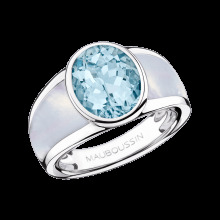 Aquamarine mainly comes from Brazil, Nigeria, Madagascar, Mozambique and Zambia. 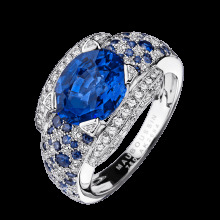 Mauboussin can design a bespoke piece of jewellery that is unique to you and you alone – simply call our expert on (+65) 68 36 90 40.